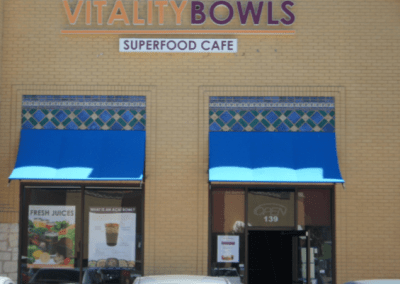 Vitality Bowls’ first Texas location opened August 2015 in the Las Colinas area of Irving Texas. The store, located near N. MacArthur Boulevard and State Highway 114, next to an LA Fitness draws a number of local residents and professionals. Irving, Texas is located in Dallas County and known for being home to a large number of Fortune 500 businesses. It also boasts an array of restaurants, arts and entertainment venues and conveniently located near one of the largest airports in the country. 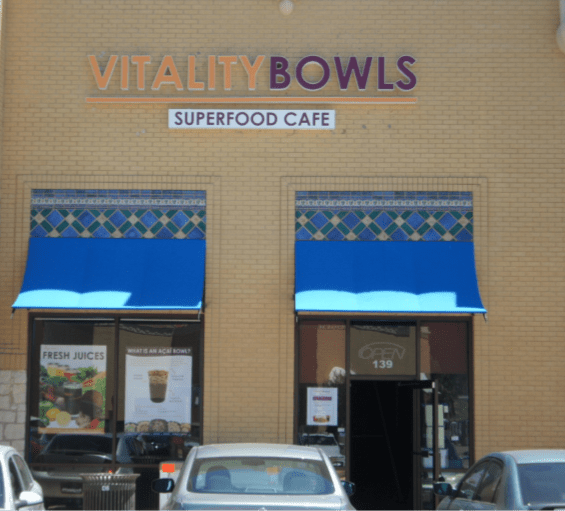 Vitality Bowls Irving offers signature acai bowls, fresh juices, salads, Panini and smoothies. The local favorites are the Powernator Smoothie – a blend of Organic Acai, Guarana, VB Blend, Almond Milk, Strawberries, Bananas, Spinach and Pineapple as well as the Salami Panini – Salami, Mozzarella Cheese, Spinach and Sundried Tomatoes. The location also offers catering. Darrell Barry, a veteran who previously served in the US Army, loves introducing acai bowls to new customers and educating them on the benefits of the ingredients. “I love this place! Skip Jamba Juice or any other place and head here and get that greatness! Açaí at its best. I have yet to find a place any better than this outside of Brazil…. and I travel to Brazil every year. The bowls are awesome and can be frozen to eat later. They are picture perfect also, so get your camera out and take a photo of the healthy eating. The smoothies will have you ordering two, cause you will finish one before you exit the parking lot. The freshness is superb. “I usually get the Vitality Bowl, Açaí Elixir, or Powernator. All great! But I won’t stop until I try them all.